Captain Norm is a US Coast Guard retiree. He served over 20 years as both enlisted doing search and rescue and as an officer running patrol boats and Bouy Tenders. He holds a USCG 50 ton Masters License with towing endorsement. Capt. Norm has worked as a mate on the Tall Ship Gazela Philadelphia a 177 ft Barkentine tall ship, as a Captain on the 110 ft Tug Jupiter out of Philadelpiha and as the Captain of a real steam driven Paddlewheel steamboat on the Delaware river. Capt. 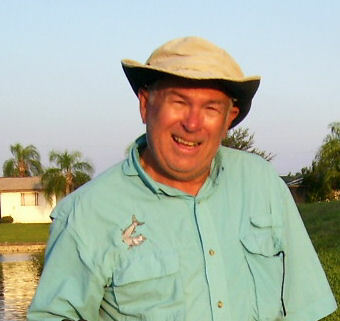 Norm has run charter fishing boats from Cape May, NJ and Cape Coral, FL for over 15 years. He is U.S. Coast Guard certified to Teach OUPV (Captains) and Masters courses and has taught for Mariners School for over 12 years. He has worked for Grand Banks yachts delivering trawlers to Grand Banks dealers throughout Florida. His passion is saltwater fishing - any species, any time. He enjoys teaching both fishing and boating skills and would enjoy teaching you either or both.